Willem Dafoe is taking fans under the ocean to expose how the cool underwater scenes in Aquaman are being shot. Warner Bros.' highly-anticipated superhero movie is currently in production, and we've seen plenty of set photos, including a dangerous Aquaman stunt with Jason Momoa (or his stunt double) crashing through glass, along with a number of massive underwater tanks used for filming. During a recent interview, Willem Dafoe offered insight into his character Nuidis Vulko, while revealing that most of his scenes are underwater. He goes onto explains how these shots are actually achieved. Here's what he had to say about the interesting production process. "Most of my scenes are underwater. Some are not. So much of it, because we're talking, and shooting underwater is a lot of ways impractical because you're limited to what you can do with sets. It's more about shooting them dry for wet, and then the effects do certain things to give the water feel. But we aren't doing the scenes underwater, but we are in harnesses and on wires. There is movement. It's not like were all sitting around pretending we're underwater like this (stands up still), we're swimming around, we're moving. So that should be really beautiful." The actor made these revelations during an interview with Screen Crush for his new Death Note movie, which debuts on Netflix August 25. The actor's character, Nuidis Vulko, made his DC Comics debut in 1967's Brave and Bold #73, and while he will be introduced in the upcoming Justice League, he will have a much bigger role in the stand alone Aquaman movie that hits theaters December 21, 2018. When asked if his character will be a 'good guy,' the actor had this to say, while adding there have been some 'adjustments' to the character in this comic book adaptation. "I'd say so. If you want to get down to those kind of categorizations. I don't need to, I know why people do it because we've got to describe things sometimes. Everybody's a mix, [laughs] good and bad. There's been some adjustments. Not even adjustments, it's like anything, you use the source material and something is born from that. But I don't really look like he does in the comic, and his role is slightly different. He is an adviser, but he's also sort of a mentor to Aquaman." Vulko has been an adviser to Arthur Curry in the comics, although he has also had an adversarial relationship with him, at one point even opposing his rule of Atlantis. 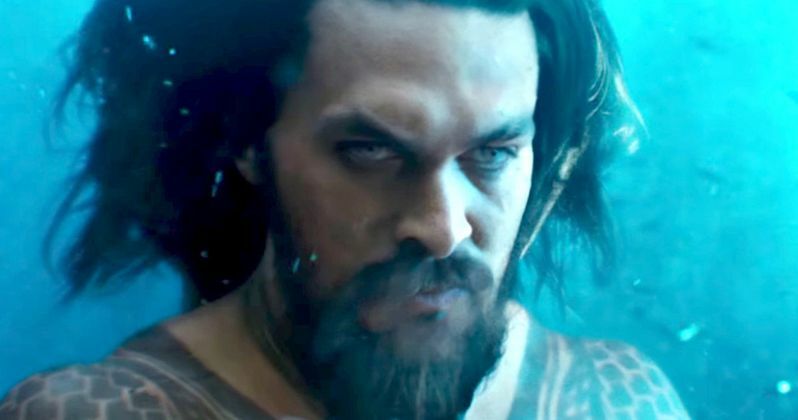 It remains to be seen if any part of that comic book story will be featured in this upcoming Aquaman movie, which also stars Amber Heard as Mera, Dolph Lundgren as King Nereus, Patrick Wilson as Orm the Ocean Master, Nicole Kidman as Atlanna, Yahya Abdul-Mateen II as Black Manta, Ludi Lin as Murk and Otis Dhanji as the young Arthur Curry. It remains to be seen how much filming is left on Aquaman, but hopefully we'll have more details soon.